Take inspiration from our showroom. It can be hard choosing new windows, doors and living spaces without seeing them. You may want to know whether a colour will suit your existing structures, or it you will like the feel inside a particular orangery. Thanks to our Queenborough head office & showroom, you can finally see your dream home improvements in the flesh! It is now easier than ever before to browse through the windows, doors and living spaces that will help to transform your living spaces. At our large, state of the art showroom, you can get inspired and get any queries answered – all in your own time, and at our own pace. Why not explore our range of door colours, or take a step inside one of our orangeries? 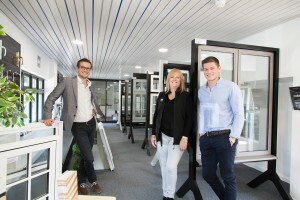 Whether you come to the showroom knowing exactly what you want from your home improvements, or if you need a place to start, our friendly team will be on hand to help. All fully trained in transforming living spaces, they will be able to advise on the most suitable products – and those that perfectly reflect your needs and style. 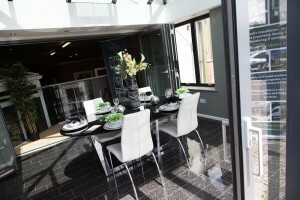 Our Queenborough showroom can be found at Unit 8, Queenborough Business Park, ME11 5DY. In a perfect location for homeowners across Kent, Surrey, London and beyond, our Queenborough showroom helps to make the home improvement process that little bit easier – and enables you to get one step closer to your dream home. Book an appointment today!